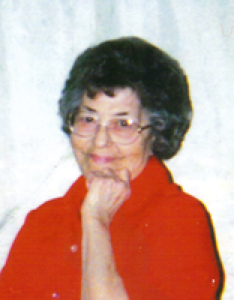 Loretta E. Zahn, 88, 212 N. Pomeroy Ave., Sidney, Ohio died at Wilson Memorial Hospital, Sidney, Ohio on Friday, March 27, 2009 at 6:45 PM. She was born January 31, 1921 in Newport, Ohio the daughter of Felix and Emma (Perin) Grilliot and they preceded her in death. She was married to Paul J. Zahn and he is deceased. Surviving is one son, Paul E. Zahn of Florida; seven grandchildren, Paula Zahn of Urbana, Ohio; Lori Jones, Paul E. Zahn Jr., Jeff Zahn, John Brown and Harold Gillmore III all of Sidney; and Ann Coterel of Texas; eleven great-grandchildren, Leighann Jones, Sarah Jones, Joshua Jones and Olivia Jones all of Sidney; Rebecca Coover, Zachary Coover, Sammy Coover, and Boulder Zahn of Urbana, Ohio and Logan Coterel, Audrey Coterel and Kyler Coterel all of Texas and one great-great-grandson, Magnus Jackson of Sidney, Ohio. Two brothers are surviving, Ralph Grilliot and Ken Grilliot. Two sisters, Bertha Pour and Rita Westerbeck and four brothers, Orville, Omer, Leonard and Cletus Grilliot and one great-grandchild, Angie Williams are deceased. She was a member of Holy Angels Catholic Church, Sidney. She was retired from Goodyear Tire and Rubber Company, St. Mary&#39;s, Ohio. A memorial service will be held on Friday, April 3, 2009 at Full Gospel Community Church in sidney with Pastor Charles Jarrett at 11:00 AM in the fellowship hall. A memorial mass will be held on Saturday, April 18, 2009 at 8:00 AM at Holy Angels Catholic Church in Sidney. Memorial contributions may be made to Agape Food Bank, P.O. Box 808, Sidney, Ohio 45365. Salm-McGill and Tangeman Funeral Home in Sidney is handling the funeral arrangements.